Charles "Charlie" C. Crawford graduated in 1954 from the Georgia Institute of Technology. He worked from 1955 to 1962 for the U.S. Air Force Flight Test Center (AFFTC) at Edwards AFB, California as a flight test engineer. He became the chief of the rotary wing engineering branch in 1960, where he oversaw all rotary wing projects assigned to the center, including novel VTOL aircraft such as the Bell XV-3 tilt rotor, as well as airworthiness qualification tests of Bell UH 1B/C/D and Boeing Vertol CH-47A. The following year he joined AHS. He worked from 1962 to 1966 for the U.S. Army Materiel Command as chief of the Technical Management Division of the Light Observation Helicopter (LOH), where he was responsible for the development and initial production of over 1000 Hughes OH-6 helicopters, as well as the qualification of the T63 engine. Development was highlighted by an intensive competitive fly-off between three designs, the YOH-4, YOH-5, and YOH-6. He eventually became the LOH Deputy Program Manager. Between 1966 and 1988, he worked for the Army’s Aviation Systems Command (AVSCOM). He established the Flight Standards Office, whose responsibility had previously been overseen by the U.S. Air Force, where he oversaw the development of the Bell AH-1G Cobra. The organization was elevated to the Directorate of Development and Qualification just prior to the advent of the Utility Tactical Transport Aircraft System (UTTAS) and the Advanced Attack Helicopter AAH) developments, with Crawford as Director. Crawford was the US Army's airworthiness authority as delegated from the AVSCOM Commander, responsible for establishing its airworthiness qualification process and for the planning and management of the qualification portion of all Army air items and modifications. This included the overall responsibility for design criteria, qualification test requirements, test planning, and approval of each test/analytical reports which substantiated compliance with these requirements. Principal qualification efforts were: AH-1 Series (all Army variants), CH-47 Series, Bell Model 214A (a Foreign Military Sales Case for Iran), UTTAS Flight Contenders (Sikorsky’s YUH-60 and Boeing’s YUH-61), AAH Flyoff Contenders (Bell’s YAH-63, and Hughes’s YAH-64), the winning UTTAS design (UH-60 Black Hawk), the winning AAH design (AH 64 Apache), the Kiowa (OH-58D) and the Kiowa Warrior (AH- 58D) designs, including their engines. Crawford was responsible for issuing all contractor flight releases and airworthiness releases for use of Army air items. He also served in a supervisory position on almost every major Army Aviation Source Selection Evaluation Board (SSEB) or Source Selection Advisory Council (SSAC) between 1963 and 1983. Between 1983 and 1988, Crawford served as the AVSCOM Technical Director, and the Director of the Aviation Research, Development & Engineering Center (AVRDEC). Mr. Crawford was responsible for approximately 1400 employees at the 7 locations throughout the US, including at the Ames, Langley and Lewis NASA Research Centers, with an annual budget of $120M. He was responsible for the Aviation Technology Base, Airworthiness Qualification support of full scale developmental projects, and engineering support of all inproduction/ fielded Army air systems. AVRDEC participated in the Light Helicopter Experimental (LHX) concept formulation establishing its airworthiness qualification requirements, which led to the RAH-66 Comanche. Crawford served as the triservice chairman of the Technical Assessment Committee for the Joint Services Advanced Vertical Lift Aircraft (JVX), which led to the V-22 Osprey program. After retirement from the Department of the Army, Crawford was a full-time research engineer at the Georgia Tech Research Institute (GTRI) until 2004, and a part-time consultant until the time of his death. At GTRI, Crawford continued to be a leader, served as the Aerospace, Transportation and Advanced Systems Laboratory’s Chief Engineer for Powered-Lift Technology, supporting the Army and Air Force Special Operations Forces. Crawford also served as a consultant to firms in the aerospace business in the area of developing new products and preparation of proposals for competitive solicitations. He was a consultant for several law firms relating to rotorcraft accidents and the Institute for Defense Analyses (IDA). He also consulted for NASA Ames Research Center. Crawford was an Honorary Fellow of the American Helicopter Society (1980) and winner of the AHS Nikolsky Honorary Lectureship (1989) — Nikolsky lecture was "Rotorcraft Analytical Improvement Needed to Reduce Developmental Risk." Among other awards he won the U.S. government’s Meritorious Civilian Service Award (1965, 1972, 1983 and 1988), the Secretary of Defense Medal for Meritorious Civilian Service (1988) and the Exceptional Civilian Service Decoration, awarded by the Secretary of the Army in 1977. He was an Associate Fellow (1964) of the American Institute of Aeronautics and Astronautics (AIAA), a longtime member and former Vice Chairman of the AIAA’s V/STOL Technical Committee, a member of the AHS STOVL/Advanced Vertical Flight Technical Committee and a Lifetime Member of the Army Aviation Association of America (AAAA). He also served as the AHS President in 1978- 1979 and Chairman of the Board in 1979-1980. 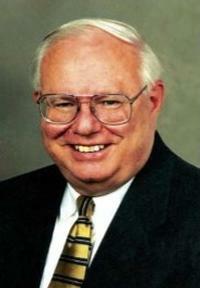 Charles C. Crawford, Jr. passed away on August 14, 2012. He was 81. The Vertical Flight Society is accepting contributions to the Vertical Flight Foundation (VFF) towards the Charles C. Crawford Scholarship. Please go to www.vtol.org/donate to make a donation in memory of Charlie Crawford.